The Theological Journal Collection will add an incredible new depth up-to-date content from two of the most highly-regarded sources of conservative, evangelical thought – Dallas Theological Seminary and Southern Baptist Theological Seminary. The Theological Journal Collection offers an incredible depth of up-to-date content from two of the most highly-regarded sources of conservative, evangelical thought – Dallas Theological Seminary (Bibliotheca Sacra) and Southern Baptist Theological Seminary (The Southern Baptist Journal of Theology). The journals, which consist of 85 volumes (320 issues) dating back to 1934, have been painstakingly scanned into electronic files from the original copies, and then prepared to take advantage of PC Study Bible’s powerful search capability. Most commentaries, aside from the most comprehensive, will have a paragraph or two about a particular issue or section of Scripture. With the Theological Journal Collection, you can almost always find a whole article or two on a given topic. And your time is more productive in searching articles that are not only doctrinally sound, but also represent different theological camps. With this collection you get the best recent thought on theological issues that you can trace from the mid-thirties through 2007. Complete text, footnotes, graphic illustrations and review articles from each journal. Page numbers preserved for easy citation. A table-of-contents view always available in PC Study Bible’s navigation panel. Verses, topics, authors and significant words tagged for the most efficient searches of all journals, as well as all other relevant information contained in your PC Study Bible library. If all of this collection's 85 journal volumes were available for sale in print editions, they would cost nearly $700. By purchasing the Theological Journal Collection, you get all of the the journal content at a fraction of the publication cost, plus you get the advantage of electronically searching all 85 volumes for information on any term, topic, Scripture or author in a matter of seconds. Because of the popularity of the Bibliotheca Sacra and The Southern Baptist Journal of Theology, we are offering them in this introductory special. 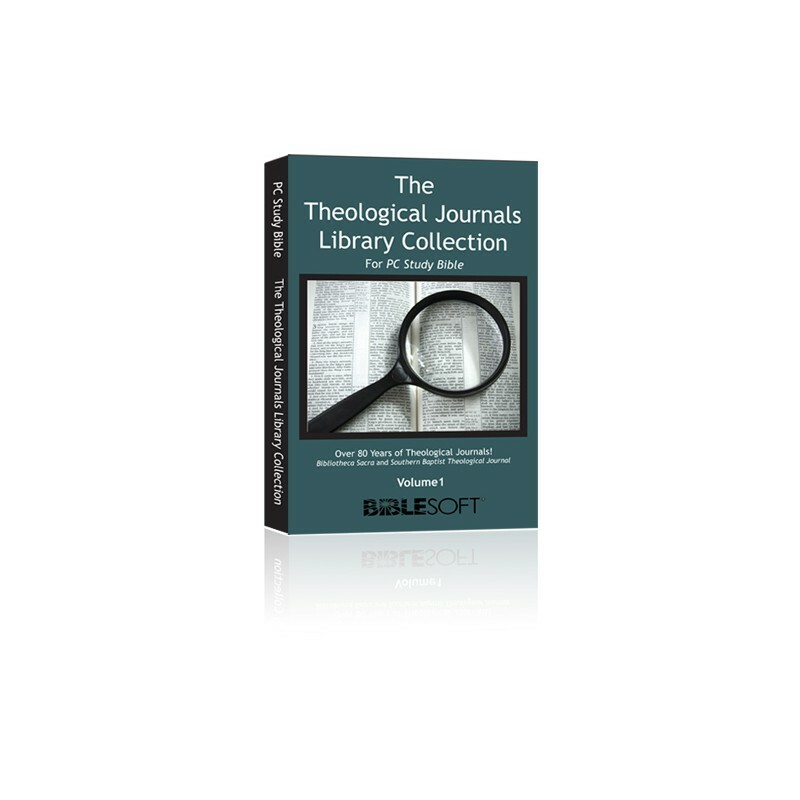 Future volumes of the Theological Journal Collection will offer you the opportunity to expand your collection to include up to 25 additional journals such as; Christian Apologetics Journal, Conservative Theological Journal, Global Journal, Journal for Biblical Manhood and Womanhood, Reformed Baptist Theological Journal, Trinity Journal and Westminster Journal. Imagine this amazing wealth of scholarly, theological thought on literally thousands of topics at your finger tips. 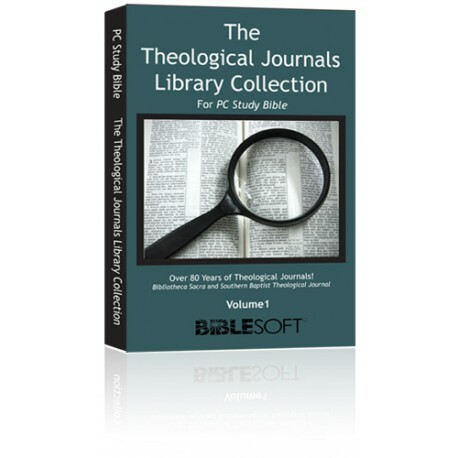 Don’t wait to add the Theological Journal Collection to your PC Study Bible library. Please refer to Knowledge Base article 1042 for release notes on this product.